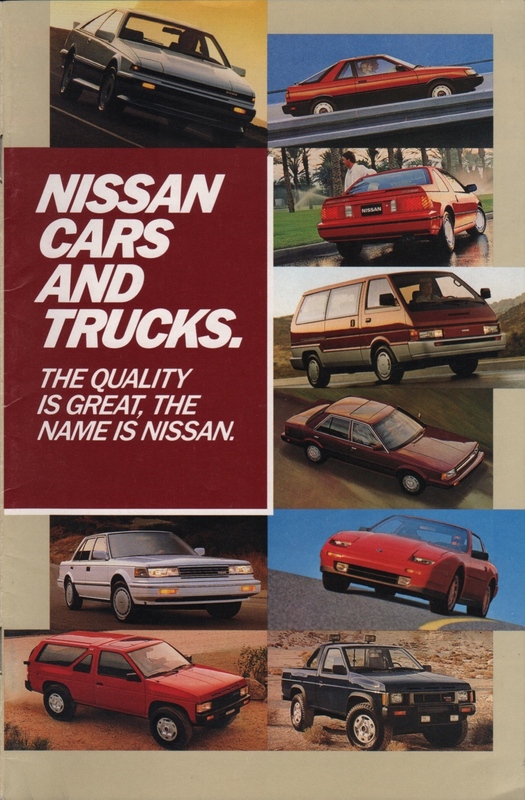 Sales brochure for the 1987 Nissan cars and trucks featuring the Nissan Sentra, Pulsar NX, Stanza, 200SX, Maxima, 300ZX, Nissan Van, Pathfinder, Nissan 4x4 hardbody trucks, and Nissan 4x2 hardbody trucks. Brochures are presented for research use only. Company marks, emblems, and designs are trademarks and/or service marks of Nissan.